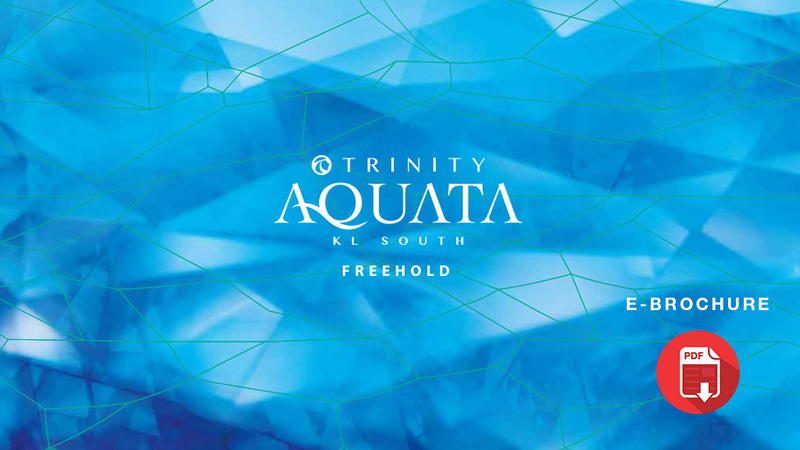 PETALING JAYA (Sept 27): Trinity Group Sdn Bhd is confident that it will achieve 50% take-up for its latest condominium project Trinity Pentamont located in Mont’Kiara, within three months of its official launch. Officially launched today, the project sits on a 2.9-acre freehold site along Jalan Kiara 5. The 41-storey project has an estimated gross development value (GDV) of RM437 million. “We have received many registrations of interest since four months ago, and to date, we have received 35% bookings for this project. “We are confident that we can reach 50% take-up in three months after this launch,” said Trinity Group chief marketing officer CY Ng. “Trinity Pentamont, which is a hybrid of the words ‘penthouse’ and ‘Mont’Kiara’, is a new category of game-changing condominium that truly deserves a class of its own,” said Trinity Group managing director Datuk Neoh Soo Keat in his welcoming address at the launch ceremony. The project comprises 330 units with built-up sizes ranging from 1,379 sq ft to 4,115 sq ft, of which 300 units are dual-key units. All of the units come with at least three car park bays. The selling price starts from RM640 psf. Commenting on the government’s call to developers to lower property prices in line with the Sales and Services Tax exemption on certain building materials and construction services, Neoh said Pentamont is selling at RM640 psf, a lower price compared to most condos in Mont’Kiara which are selling at prices starting from RM800 psf. “We are chopping our profit to support our government’s policy,” said Neoh. Trinity Pentamont is touted as the first adventure themed development in the Klang Valley, with facilities such as a hanging tree nest, a starlight theatre, a celebrity kitchen, junior rock climbing, an infinity edge pool, and 7-metre cascading falls. Nearby amenities include the Mont’Kiara International School, Garden International School, Plaza Mont’ Kiara, Hartamas Shopping Centre, Global Doctors Hospital, KPJ Damansara Specialist Hospital and ParkCity Medical Centre as well as leisure spots such as the Kuala Lumpur Golf and Country Club, Bukit Kiara Equestrian Club and Royal Selangor Club. The project is accessible via several major highways, including the Damansara-Puchong Expressway, SPRINT Highway, New Klang Valley Expressway, Duta Ulu-Kelang Expressway (DUKE) and DUKE 2 Highway. To ease traffic flow for future residents, there will be two new entry points into the project via Jalan Kiara 5 and Jalan Kiara 3 to enhance accessibility. The project is targeted for completion by 2022.